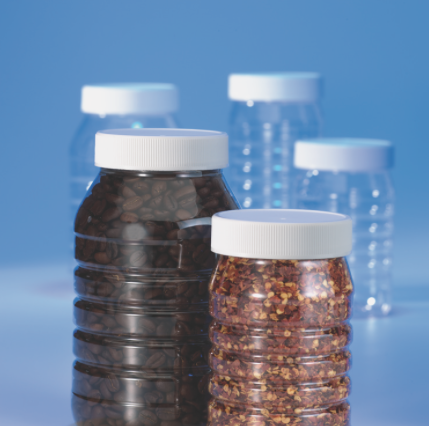 PET Power Containers manufactures all shapes and sizes of plastic bottles using a two-stage PET blow-molding process. For the compressed air system assessment, PET Power Containers contacted Compressors aiR Us, Inc., an energy auditing company located in Ontario, to evaluate its compressed air system. The goals of the system assessment were to evaluate the current compressed air system, identify any opportunities for improvement, and make sure the plant could accommodate the expansion. Compressed air auditor Shannon de Souza, CEM and Qualified AIRMaster+ Specialist, helped inspect the compressed air system at PET Power Containers. During his audit, he found the plant’s two reciprocating air compressors running inefficiently. Additional issues were found within the piping and drains, resulting in large amounts of moisture and the need for manual draining. PET Power Containers is a Salbro Bottle company based in Vaughan, Ontario. All problems considered, there was no way the existing system would accommodate plant expansion. Several solutions were implemented to optimize the compressed air system, including the installation of a SIAD Vito 1330 reciprocating air compressor, a cycling refrigeration dryer, and multiple zero air-loss condensate drains. On its own, the installation of the SIAD Vito air compressor will save PET Power Containers an estimated 534,239 kWh annually, or about $53,424 per year (at $0.10/kWh). The retrofit also qualified for a rebate of $109,600 through the local utility company. There are two types of PET blow-molding operations. The first is single stage, where the preform is manufactured in the blow-molding machine itself. One side of the machine performs the injection molding, and the other side blows the molds to form. The second type is two stage, where the preforms are fed into the machine from a different source. PET Power Container is a two-stage PET manufacturer. The company manufactures its preforms separately, feeding them into the blow molder as a separate process. With prototyping and 3D printing capabilities, the company can also design all of its own molds in house. 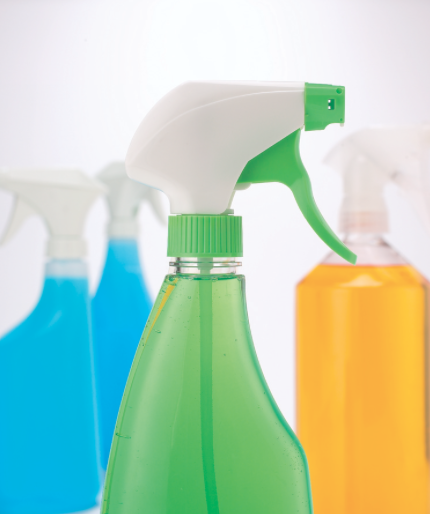 PET Power Containers manufactures bottles sized anywhere between 8 and 128 oz. As its operations grew, the company started manufacturing more large bottles, consequently increasing demand for high-pressure compressed air. The plant also planned to expand its blow-molding capabilities with two to four additional blow-molding machines. Since the two existing reciprocating air compressors had been in the plant since 2002, plant management decided to assess the entire compressed air system prior to expanding. As is often the case with plastics manufacturing facilities, PET Power Containers employs two compressed air systems—one for low-pressure applications, like the company’s two injection molding machines, and one for the high-pressure applications, such as the plant’s seven PET blow molders. This particular compressed air audit focused on the high-pressure compressed air system. Installed in a dedicated compressor room, the high-pressure system comprised two reciprocating air compressors, each with a dedicated refrigerated air dryer. Compressed air was fed into a 120-gallon receiver tank (dry), before being routed to the plant. During a comprehensive seven-day audit, de Souza measured the compressed air system’s baseline energy efficiency, assessing both the supply and demand sides. During his assessment, specific energy conservation measures (ECMs) were identified, and retrofit projects were proposed to hit target ECMs. All proposals included critical information about energy costs in order to make the opportunities eligible for local utility incentives through the Save ON Energy RETROFIT Funding Program. The compressed air audit included the following steps, carefully undertaken per international standards to properly report energy measurements. Measure the plant’s baseline compressed air system efficiency, taking both the supply and demand side into consideration. Declare the set of conditions to which all energy measurements will be adjusted, so savings can be reported as avoided energy. Define static factors that have been assumed for the purpose of establishing baseline data. Specify metering points, and the type of equipment used to measure baseline data. Identify Energy Conservation Measures (ECMs) within the facility’s compressed air system. Propose retrofit projects that will address the targeted ECMs. Estimate the potential consumption savings in kW and kWh that could be realized with proposed ECMs. Declare the energy prices that will be used to value optimization opportunities and estimate savings for the ECMs. Define the measurement and verification (M&V) plan and International Performance Measurement and Verification Protocol® (IPMVP) Option that will be used to determine savings, should the proposed ECM receive approval. Provide critical information for deciding whether the proposed system efficiency upgrades are feasible to proceed with potential from the Save ON Energy RETROFIT Funding Program. Based on data gathered during the compressed air audit and extrapolated over the plant’s 24/7 operations, de Souza calculated that the plant runs approximately 8,760 hours per year. To determine the running efficiency of the air compressors, voltage meters were used to measure the voltage to the load/unload solenoid valve. When the solenoid was energized, the air compressor went to 100 percent load. When de-energized, the unit unloaded. This technique helped to determine the FAD at 30-minute and 1-hour intervals. The measurements indicated that the two existing air compressors were operating at a worse specific power (kW/100 cfm) than anticipated. According to plant maintenance, modifications had been made to the air compressors, and they were de-rated accordingly. Operating data can be seen in Chart 1. A compressed air system pressure profile for the plant was also developed. Used to feed seven PET blow-molding machines, the high-pressure compressed air system provided an average of approximately 453 acfm at peaks of 605 psig. After measurements, it was determined that the average system pressure on weekdays was 558 psig. On weekends, the average system pressure dropped significantly to 513 psig. Annual energy costs for supplying high-pressure compressed air was about $117,323. The piping and drainage systems also had issues. Large amounts of moisture were found in the compressed air piping—a damaging condition that could potentially lead to corrosion. Water could also backfill the air compressors when in idle or standby mode. In addition, the drains on the system were problematic, as manual draining was needed on a daily basis. The supply piping system header, which feeds the plant machinery, was 2 inches in diameter. Where the Compressed Air Challenge recommends the supply header to deliver compressed air at 20 fps, the plant’s system was calculated at 8.56 fps. Finally, a leak detection sweep identified one major compressed air leak resulting in an estimated leakage of 15 to 20 cfm. It would increase demand charges for another 110 kW motor that must start. Plant kWh consumption would increase, as the new air compressor would have run at partial load. This running condition would increase unloaded energy consumption and require the air compressor to consume kW with no compressed air being produced. There would be a negative impact on the plant’s power factor due to an induction motor running unloaded for large periods of time. SIAD Macchine Impianti is an Italian manufacturer of compressors for all types of gases, mixtures and air separation plants. Involved in the design, production and sales of air compressors worldwide, the company’s Compressor Division manufactures lines of air compressors specifically designed for PET bottle-blowing applications. Launched in February of 2014, the SIAD Vito is an oil-free, three-stage reciprocating air compressor tailored to PET blow-molding applications. From its inception, the Vito air compressor has been developed with the application in mind. The design engineers have reduced power losses concerning both the flow dynamics and the compressor’s mechanical operation, in addition to reducing reciprocating masses to eliminate vibration as much as possible. The SIAD Vito oil-free reciprocating air compressor was specifically designed to reduce energy costs in PET blow-molding facilities. The SIAD Vito can reduce energy costs by up to 12 percent when compared with the previous series of reciprocating air compressors. This has been achieved through the reduction of both pressure losses across the cylinder valves and friction losses. As an example, the design team reduced the number of piston rings inside the chamber, selecting the smallest number of rings needed for PET bottle-blowing applications. This results in less friction and less kW usage, without reducing the lifetime of the air compressors themselves. The SIAD design team created the machine’s integral moisture separator by focusing on quickly reducing the speed of air and abruptly changing the direction of flow. This has helped to improve the separation of air and water in the process of producing ISO 8573-1 compliant compressed air. SIAD also partnered with several suppliers in the design of main components and other parts, resulting in a robust technical design with a guaranteed 8,000 continuous running hours before any maintenance is required. For more information, visit www.siadmi.com/en. The following recommendations were made to improve the compressed air system at PET Power Containers. If implemented just for the existing system, the projects would save the company approximately $36,929 annually in energy costs (10 percent safety factory included). However, with expanded plant capacity, the recommendations would save PET Power $53,423 annually, and still provide capacity for additional expansion. Install one new SIAD Vito 1330, a three-stage, oil-free, variable speed drive reciprocating air compressor designed specifically for PET blow-molding applications. Install a new 1000 cfm cycling refrigerated air dryer dedicated to the new air compressor. The two other air dryers could then be shut down. Replace drains in system with zero air-loss Bekomat drains to remove all moisture while eliminating compressed air discharge when purging. The new drains will also remove all bulk moisture accumulation in the supply header upstream of the air dryer. Reduce system pressure to the lowest possible target pressure using a target pressure on the Vito 1330, as opposed to the pressure band currently required. This would include reducing pressure on the weekend if no reduction in quality is found, as pressure was significantly lower without reported incidence during the compressed air audit. Maintenance costs would be minimized with the implementation of these ECMs, as there would only be one air compressor and one air dryer required—even with planned production increases. The new air compressor would also be covered by a 5-year warranty. Repairing the leaks found in the compressed air pipe distribution system would help eliminate 15 to 20 cfm. The new SIAD Vito 1330 retrofit would handle both the plant’s current load and the load from additional blow-molding equipment—all from one air compressor. This would also leave PET Power with a partial backup compressor system in one of the original air compressors. Because the Vito has a VSD, it could be programmed to run at a target pressure on weekdays, and a different target pressure on weekends, maximizing the energy efficiency in both cases. The newly installed SIAD Vito 1330 will help PET Power Containers save approximately $53,424 per year in energy costs. Altogether, the SIAD Vito Retrofit Package included the new air compressor, a new refrigerated air dryer, zero air-loss condensate drains, and a replacement of all piping on the supply side. Energy savings from the zero air-loss drains were calculated into the energy incentive report as part of the 10 percent correction factor. Unfortunately, energy savings from the new refrigerated dryer were not calculated, as the original dryers were not metered. The energy savings calculated to earn incentive funding—as shown in Chart 2—resulted in $109,600. As a result of the compressed air system retrofit, the staff at PET Power Container could not be happier with the services rendered by Compressors aiR Us, Inc. Shannon de Souza and his team worked tirelessly to optimize the system, and get the new air compressor up and running. Paul Saltz, VP, PET Power Containers, could not be happier with the new SIAD Vito 1330 installed by Compressors aiR Us, Inc.
Saltz was also particularly impressed with the new SIAD Vito 1330 air compressor. With the installation finalized, he and his colleagues at PET Power Containers are now ready to ramp up production. For more information about the project, contact Shannon de Souza, tel: (905) 501-1240, email: shannon@compressorsairus.com, or visit www.compressorsairus.com. To read more articles about the plastics industry, please visit www.airbestpractices.com/industries/plastics.